The family holiday this year was spent, with another family, down in the Dordogne near Beaulieu. One of the advantages to driving is that I can take a couple of cases of wine. We had a great house with a pool, very remote but most of the time was either spent cooking, talking about food and wine or drinking and eating! I took various things and we hunted around the supermarkets, town markets and a few shops for the others. I was not making full tasting notes as this was a break but I have put a few comments below. 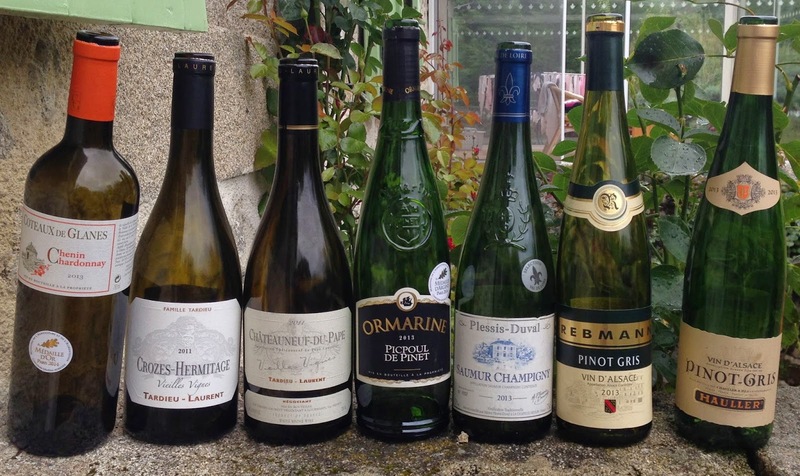 Cahors is the nearest area of real production so we sampled plenty during out time. One of the favourite producers for me was Clos de Gamot which has old vines and seemed to have a nice and unobtrusive style. I think little or no new oak too which is always a good thing in my book. There did seems to be two styles from the small sample we drank. I am going to call them, “rustic tradition” and “Wannabe Argentinians”. The former has no fear of funky aromas and a bit of dirty spice, medium weight, more interesting to my mind. The later is more viscous and technically more fruited and pure but seemed to lack a creation sense of place or uniqueness. 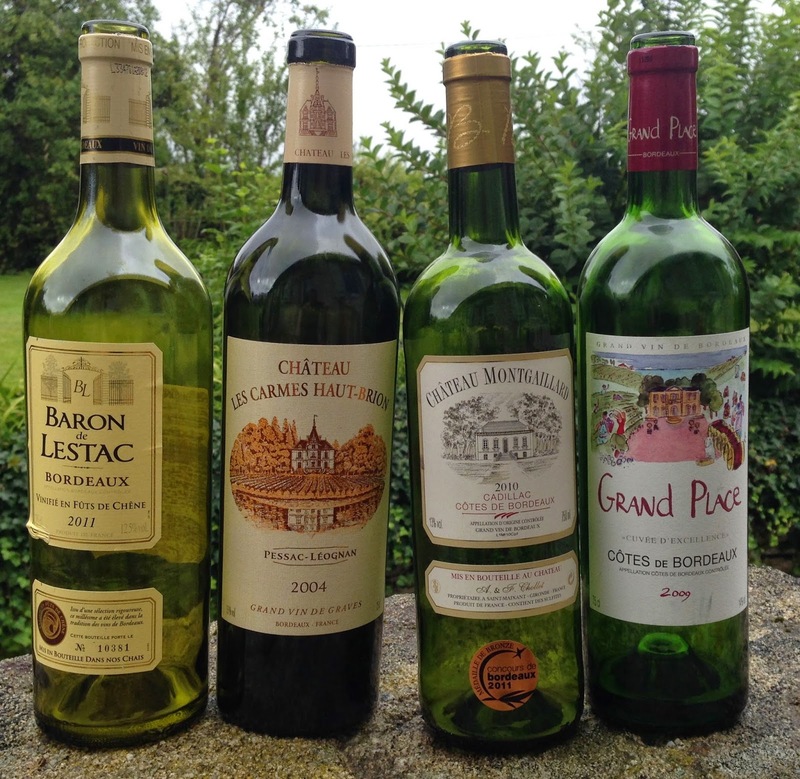 Not being far from Bordeaux a few bottles were always going to creep into the range from that great Region. Grand Place 2009 was a little overstated as the name suggests. Baron de Lestac 2011 white was ok but overoaked which slightly spoilt what could have been a lovely good value bottle. Les Carmes Haut Brion 2004 which I bought a few of some years back has been disappointing me of late, some of the sweat charm has gone and it is a little too savoury now. A fine lesson in not ageing a wine you like as it is/was. 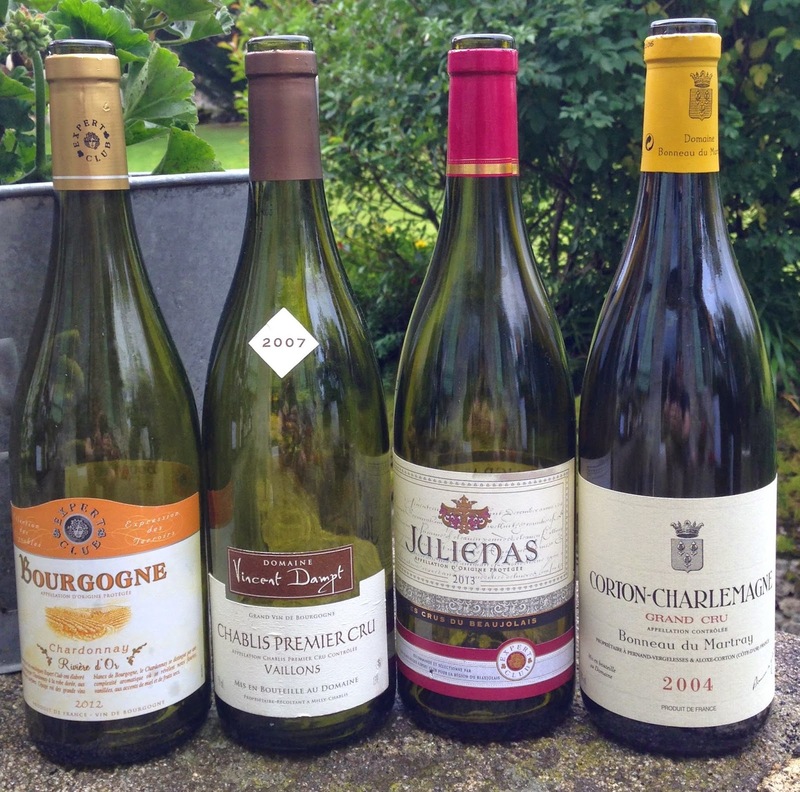 From left to right; A very ordinary Bourgogne Blanc 2012, a delicious with food Chablis 1er Cru Vaillons 2007 from Vincent Dampt, an insipid and uninteresting Julienas 2013 (yes Beaujolais is not high on my list but this was just dull) and a bad bottle of Corton Charlemagne 2004 from Bonneau du Martray (see next post for a good bottle!). The German selection was probably the strongest in terms of the producers shown. 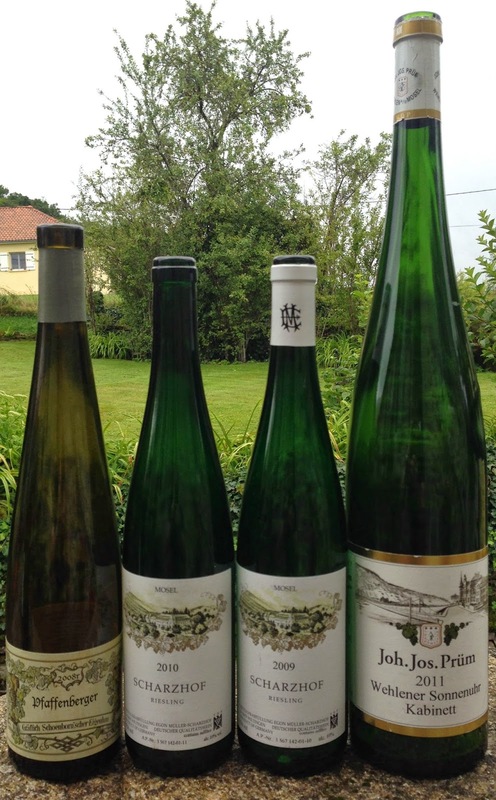 The magnum of Prum was real highlight. I had never hidden my love of the Prum wines and this was just another great example (Wehlener Sonnenhur 2011 magnum), it’ll age well but is so delicious now. The Spatlese Jubilee bottling from Schloss Schonborn is an absolute favourite of Mrs H and rightly so, very intense fruit. The two Mullers are the estate Rielsings from 2009 and 2010 and they are true to type, 2010 more linear and more focussed, 2009 easier and lovely if simpler. 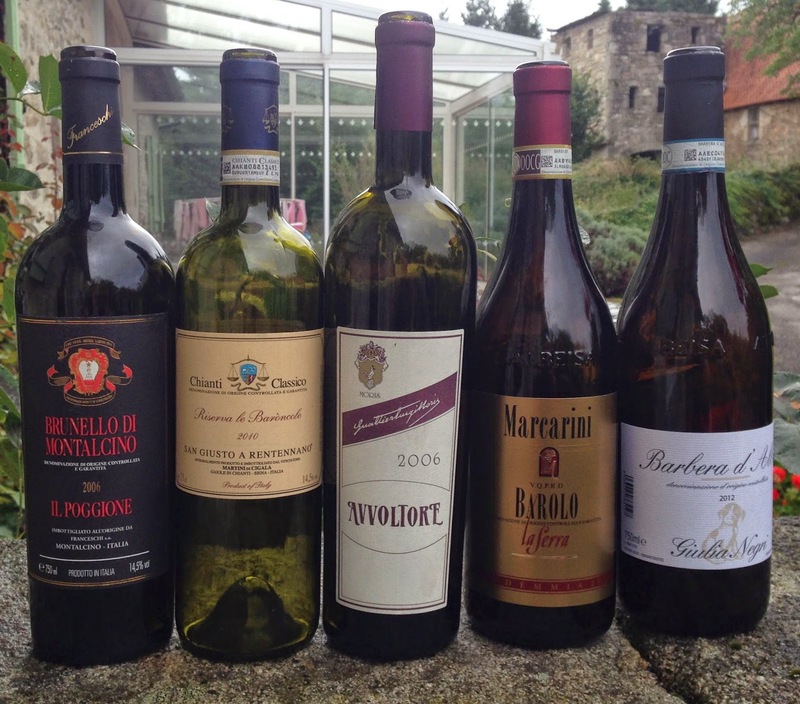 Brunello di Montalcino 2006 – We had two bottles of this and my only real regret is that I did not buy more, it is youthful but stunning and just so enjoyable, I can’t think if anytime when I wouldn’t love to just open and enjoy this. Chianti Classico Reserva Le Baroncole 2010, San Giusto – I am a fan of San Giusto and think that Percarlo is great and the basic Chianti is a “no brainer” BUT this may be the weak link (well at this young age anyhow), it is just too oaked and that masks what is obviously good fruit…a good wine but not what it could be! Avvoltore 2006 – Sturdy showing from this wine, very good with big meat dishes, the more recent vintages (2002 onwards) appear not to quite have the charm of old but this is a good wine. Barolo Brunate 2007, Marcarini – As with most 2007 Barolos I believe in serving this cool and after a quick double decant, it is feminine for Barolo, a Volnayesque Barolo of sorts. Very good way to translate the vintage, enjoyable if not serious. Barbera d’Alba 2012, Negri – A good richly fruited if not heavy Barbera, good all-rounder, best with another 12 months but good. Crozes-Hermitage VV 2011, Tardieu-Laurent – This is too young by rights but is delicious in a mini-Hermitage sort of way…savoury bacon with dark fruit. Chateauneuf du Pape Blanc VV 2011 – I have had several bottles of this now and whilst it’ll age well it is just so balanced and lovely now, not too much structure, not too much fruit just bliss. 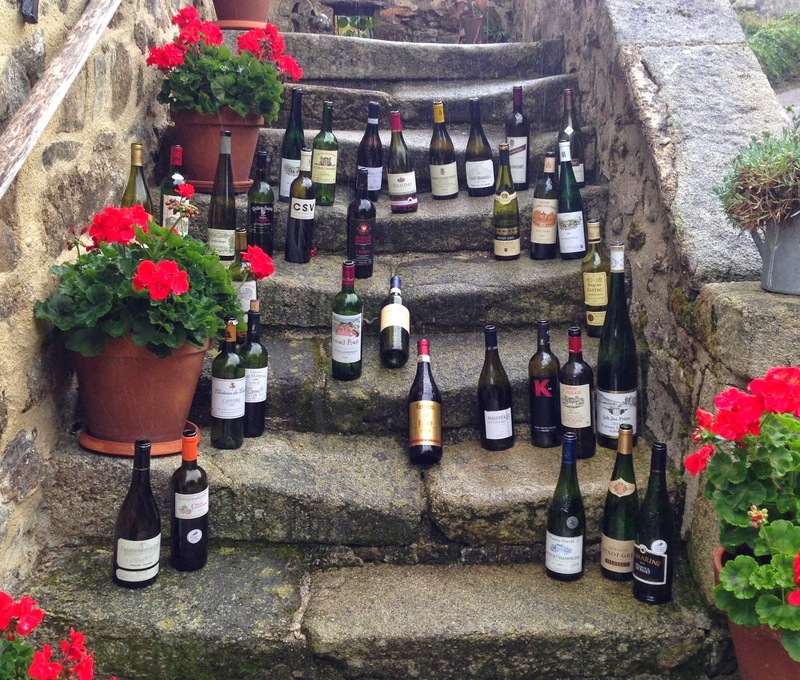 Rebmann generally – Not a producer I know but they seem to be a big firm or a negoce who do all that alsace offers, the Pinot Gris got drunk in good quantity, nice simple and enjoyable wines. There were a good few beers along the way but the sensible thing we did was never go to the fortifiers or spirits (well baring a bit of Pastis).